I love the ethereal feel behind these products and the packaging is so delicate and simple. I'm a fan of honey scents in general and thought I'd really like this one. 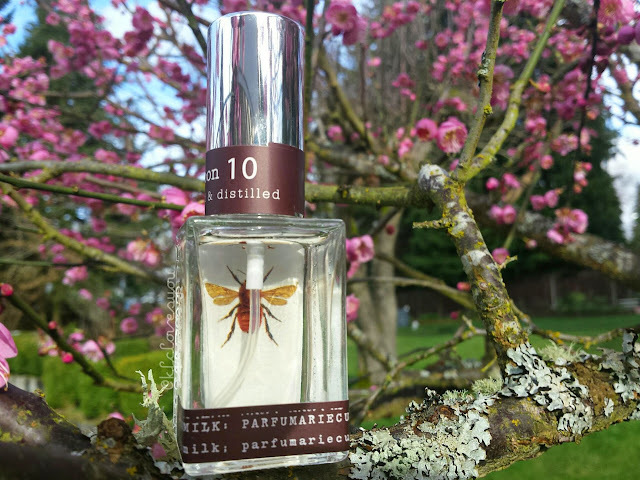 "A decidedly different collection of brilliantly paired fragrance notes housed in an alluring glass bottle decorated with Summer's buzzing bee"
This is definitely a scent on the sweeter side and you don't want to spritz too much or it can be overwhelming. The initial scent of this is the sugary sweet honey but it tapers down into a warmer floral scent. With my skin chemistry, this one definitely becomes even warmer in scent and a bit woodsy, almost leaving behind the sugary notes. Try not to spray this into your clothing, especially chunky sweaters, the smell will linger and be very strong! So be careful where you spray this on. This also sort of reminds me a little bit of the Pink Sugar cotton candy scent, but just in the sweetness. There is a distinct honey scent that pulls through in this perfume. I would recommend this one if you love sugary/sweet scents and are a fan of honey scented items. If you tend to stray away from sweet scents then stay far away from this one! The price for this 1 oz bottle is $30.00 which is a reasonable price for perfume. 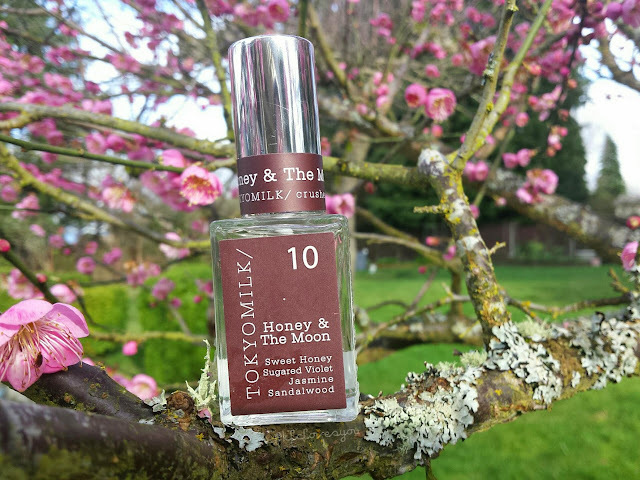 Readers, have you tried any Tokyo Milk perfumes? What are your favorite types of scents? Let me know!